There are a lot of reasons for Phoenix, AZ residents to invest in new, energy-efficient AC installations. A unit with an Efficiency Ratio (EER) of 10.0 or greater earns the U.S. government’s Energy Star designation. Replacing an old AC system with an EER of 5.0 with an Energy Star system could mean a 50 percent savings on your annual cooling costs. When you consider that air conditioning accounts for nearly one quarter of the money spent on electricity in Arizona, you can imagine just how much a new AC system could slash your monthly bills. Another crucial element to installation is the right fit. 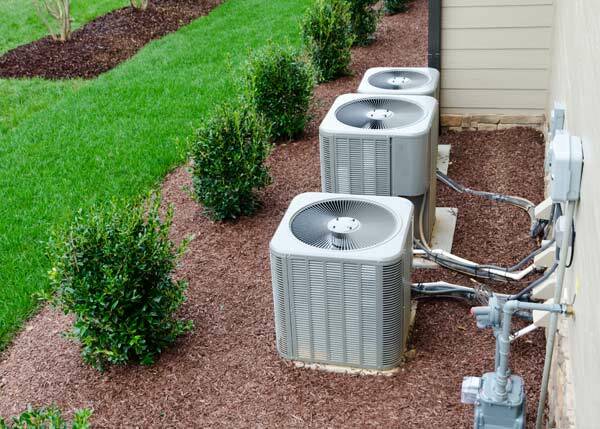 Both oversized and undersized systems will cause unnecessary wear and tear to your unit causing costly repairs and inadequate cooling. When we prepare your free HVAC installation estimate, we’ll take size and capacity into consideration to make sure you get the best unit for your space. Regular maintenance visits. During the first year after your installation, we visit three times to confirm that your installation went well and that your system is functioning at peak level. After the first year, we continue regular visits by coming out twice each year. Priority service.If you have a problem with your new air conditioner, we place you at the top of our service call list. For residential customers, if we can’t fix it the same day that you call, we’ll pay for a hotel room for you and your family. Big discounts.When you sign up for our maintenance plan, you receive a 15-percent discount on all air conditioner repairs. Those savings are on top of our already low flat-rate AC repair pricing. Choosing when to install a new AC unit and deciding on a specific model can be tough questions to answer by yourself. You do not have to make those decisions alone. The professionals at Cooper Climate Control are here to guide you through the process and make sure that your cooling needs are properly taken care of. Why keep paying too much for electricity without getting the comfort you deserve? Contact us today to schedule your free estimate!